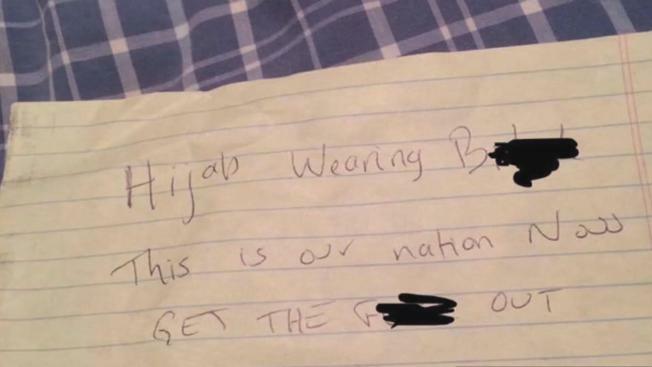 A woman with Lupus who was wearing a bandana over her head was targeted with a hate note. Every day for the past 49 days, Nicki Pancholy of Milpitas, California has been hiking up Mission Peak in the name of peace. The election cycle has been especially brutal, she said, and the 41-year-old homemaker said she wanted to trek up the popular 2,500-foot- high mountain in nearby Fremont, California to send up prayers for health and collective harmony. “Every step is a soft whisper to God,” Pancholy told NBC Bay Area on Thursday. For the record, Pancholoy is not a Muslim and she was born in San Jose, California. Her ethnicity is Rajastani Indian. And her religion, she said, is love. She was wearing a bandana over her head, not because she is religious, but because she is protecting her scalp from the sun. She has lupus, an inflammatory autoimmune disease that can damage tissues and organs. East Bay Regional Park Police are investigating the note and auto burglary as a hate crime; her car windows were smashed and someone stole her purse and checkbook. She posted the inside of what her car looked like on Facebook to document the damage. Fremont police spokeswoman Geneva Bosques said on a personal level she is “very upset” that nastiness would happen in such a diverse and normally welcoming community. Fremont is an especially diverse city; half of its population is Asian and it's long been a a haven for immigrants from India and Afghanistan. Pancholy is just one of a growing number of people across the country, even in the Democratic stronghold of the Bay Area, to fall victim to hateful harassment since Donald Trump was elected president. The words "I Love Trump" are written on Javier Morales' minivan in Campbell. Nov. 15, 2016. This week, someone scrawled “Go Home” and “I love Trump” on the minivan of Javier Morales, a Mexican man in Campbell, California. On the day after the election, a man tried to yank off the hijab from a Mulism student at San Jose State University, nearly choking her. And last week, a woman on BART railed against an Assyrian-speaking woman telling her that Trump might deport her, despite that she was born in the United States. The Southern Poverty Law Center has noted a marked increase in hateful acts across the country since Trump has been elected. As of Monday, the hate-tracking group found 437 reports of hateful intimidation or harassment since Nov. 9. In an email, Heidi Beirich, director of the center's intelligence project, said this is "truly a frightening number," although this is the first time the group has started tallying numbers following a presidential election. By Nov. 14, 2016, the Southern Poverty Law Center has tracked 437 incidents of hate since Donald Trump was elected. 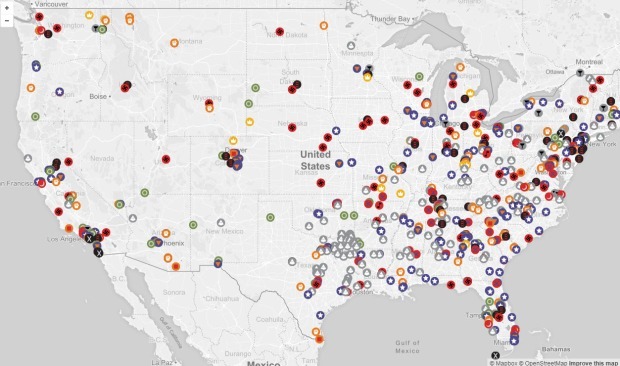 This is a map of hate groups around the United States. Fremont planning commissioner Raj Salwan, who is friends with Pancholy, said he would do everything in his power to stop the bigotry in his community. “Acts such as these will not be tolerated in Fremont,” he said. “Our diversity is our strength. Please speak up about any such incidents so that we can take swift action... We have no room for hate in our community." Others chimed in to support Salwan’s inclusive message. Robert Boone wrote on Salwan’s Facebook page that despite the fact that Trump has "unleashed something ... this isn't the '50s and '60s anymore. And we will not go backwards." Michelle Hedding added: "I am appalled to hear this happened here in Fremont. I want to help in whatever ways I can to support anyone who is being targeted. My heart is breaking a little."